In wildlife rehabilitation, almost every animal that comes in is going to be suffering from some level of dehydration. Rehydration alone can save many of your treatable patients. 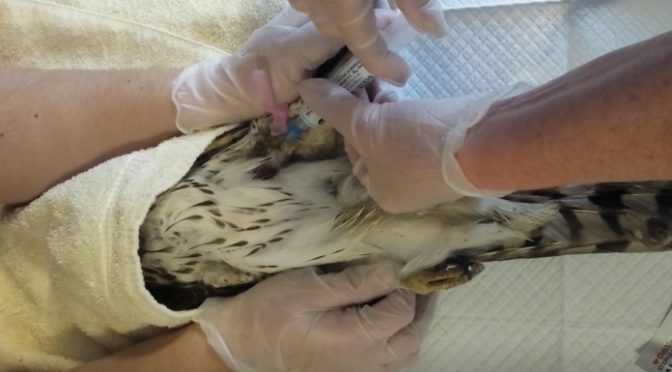 Being able to detect and treat hydration properly may be the most important skill for a wildlife rehabilitator. This self-paced. non-accredited course will prepare the wildlife rehabilitator to detect an animal’s level of dehydration, calculate an effect rehydration protocol for the animals, properly select the right fluids for its condition, as well as administer fluid therapy by oral and injectable methods common in a wildlife rehabilitation setting. A certificate for 8 hours will be awarded on completion of the course.